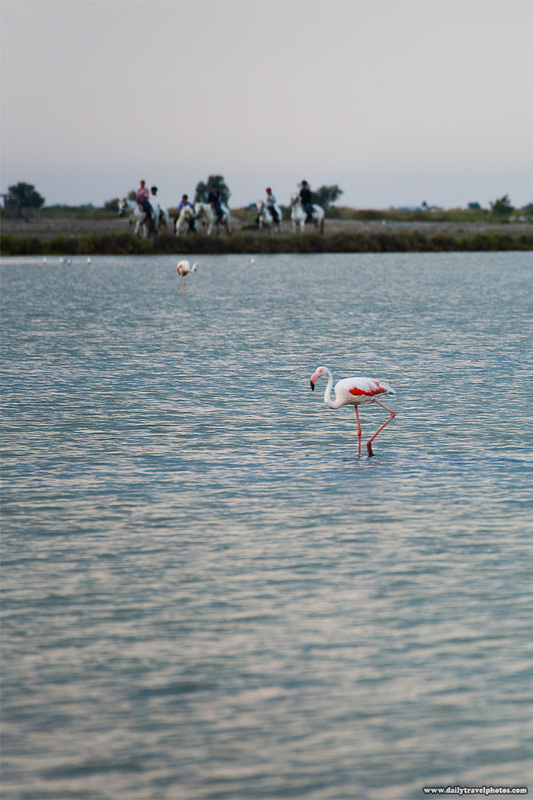 Tourists on horseback roam the wetland habitat of flamingos, part of the Parc Naturel Régional de Camargue. In addition to bulls (seen in yesterday's photo), the Camargue region of France is also famous for a breed of white Camarguais horse, used by those who raise fighting bulls. 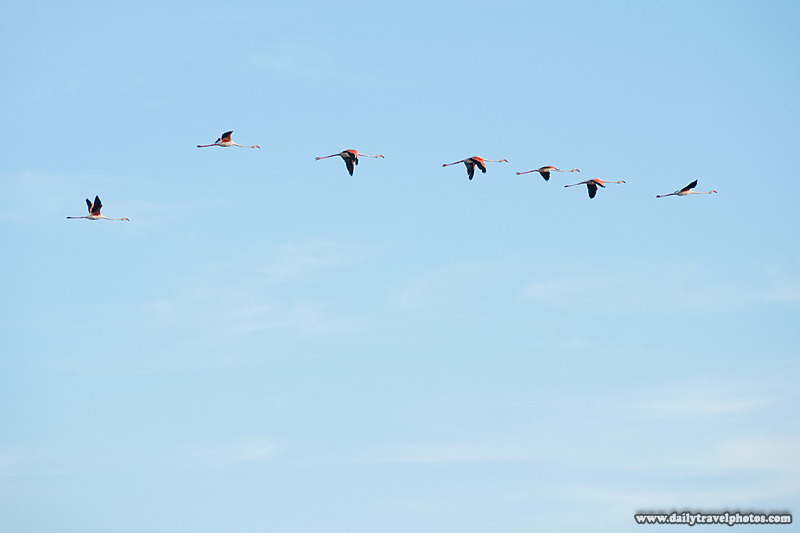 Flamingos fly in somewhat of a formation.